The company basically took a machete to its existing laptops. If you're shopping for a new laptop for the back-to-school season, get ready to be spoiled for choice. At its Computex keynote in Taiwan today, ASUS showed off a slew of new laptops and convertibles, leading with the ZenBook Flip S, which the company says is the "world's thinnest 2-in-1 convertible laptop." At 10.9mm thin and weighing 1.1kg, the 13-inch Flip S certainly has a smaller footprint than other similarly sized systems from Apple, HP, Acer and Lenovo. That thin profile, along with new minimal display bezels that ASUS is calling "NanoEdge," is the clear focus for the company's laptop refresh this year. At a crowded demo area here in Taipei, I spent some time with the Flip S, checking out its screen, keyboard and hinge in particular. 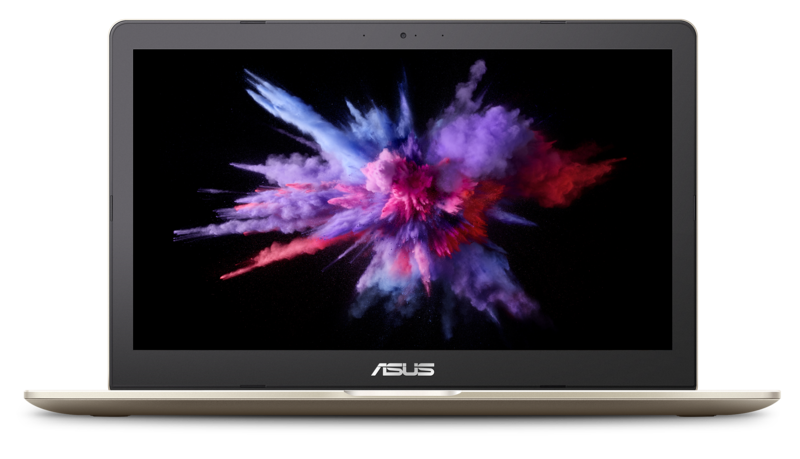 Right off the bat, I was most taken by the Flip's beautiful blue-and-gold color scheme, although the device was so smudge-prone that ASUS reps were swooping in with cloths to wipe the laptops down every other minute. I found images and text on the display crisp and colorful, while the keyboard was comfortable and the roomy touchpad was responsive as I navigated the Windows 10 OS. And indeed, the Flip S is light enough to easily lift with one hand. To achieve that slick size, ASUS says it had to invent a new "liquid-crystal-polymer fan" that's just 0.3mm thin to keep the system cool. If that sounds familiar, it's because Microsoft also said it had to come up with its own liquid-cooling system for the Surface Pro 3. The Flip S runs Windows 10 S, and is supposed to pack a fingerprint sensor for secure logins via Windows Hello. I didn't see one on my demo unit, though. Powering the Flip is a powerful Intel Core i7 chip that can get achieve up to 3.5-GHz boost speeds, which is impressive. There's also a 1TB solid-state drive inside. 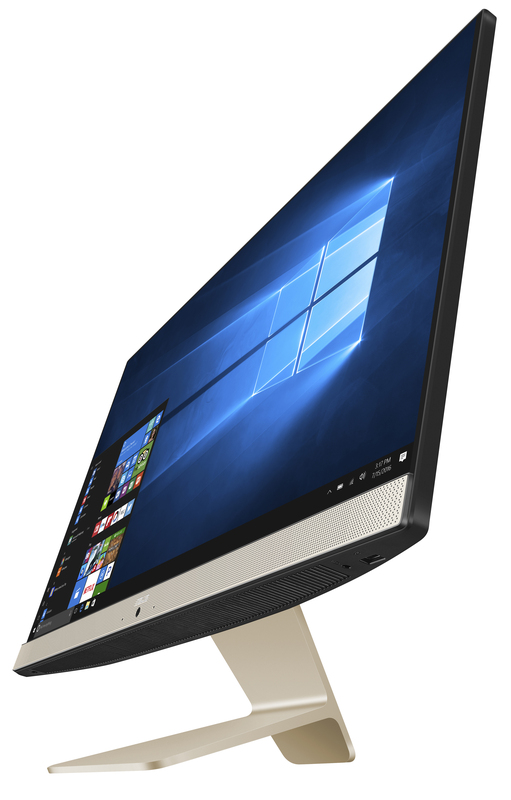 The machine's 13.3-inch 4K display, surrounded by a 6.11mm bezel on the vertical sides, supports active stylus input as well. The Pen will recognize 1,024 levels of force, and worked smoothly when I jotted down notes on the preview unit available to me in the demo area. It's unclear if the company will throw in an ASUS Pen with notebook, though. The Flip S will start at $1,099 when it arrives in September. At the event, the company also unveiled a new $1,299 ZenBook Pro and the new ZenBook 3 Deluxe, which will cost $1,199. Also interesting is the new VivoBook Pro N580, which is the more powerful of two additions to the company's mid-range line. Not only is it among the most affordable notebooks to have an NVIDIA GTX1050 graphics chip, but it also features a more-premium design borrowed from the higher-end Zenbook line. The 15-inch machine will be equipped with a powerful Intel Core i7-7700 HQ chip and up to 16GB of RAM, an uncommonly strong combination for the expected price range. To keep those parts from overheating, the VivoBook Pro will sport a dual-fan cooling system within its 19.2mm-thick aluminum chassis. There's also a new VivoBook S15, which gets a ZenBook-like design as well, and has a 17.9mm-thick chassis, Intel's Core i7 and NVIDIA's GTX 940 chips. Thanks to the "NanoEdge" bezels, the laptops look like 14-inch machines despite packing 15-inch screens. The VivoBook Pro will start at $799, while the S15 will start at $499, which are impressively cheap for what these systems offer. If you're in the market for a desktop, ASUS also unveiled two new all-in-ones that might tickle your fancy. The Zen Z241 in particular is supposedly the most affordable of the company's AiOs, and features an 88 percent screen-to-body ratio, also thanks to that "NanoEdge" bezel from the laptops. The 23.8-inch screen has a less-impressive 1080p resolution, but its discrete GeForce 930MX card should provide decent graphics performance. If you want something more powerful, the new Z242 AiO is a more suitable option with its NVIDIA GTX 1050 chip, it packs mostly the same specs otherwise. Both these systems will be available in July, but we don't know their prices yet. We'll update this post as we get more information.